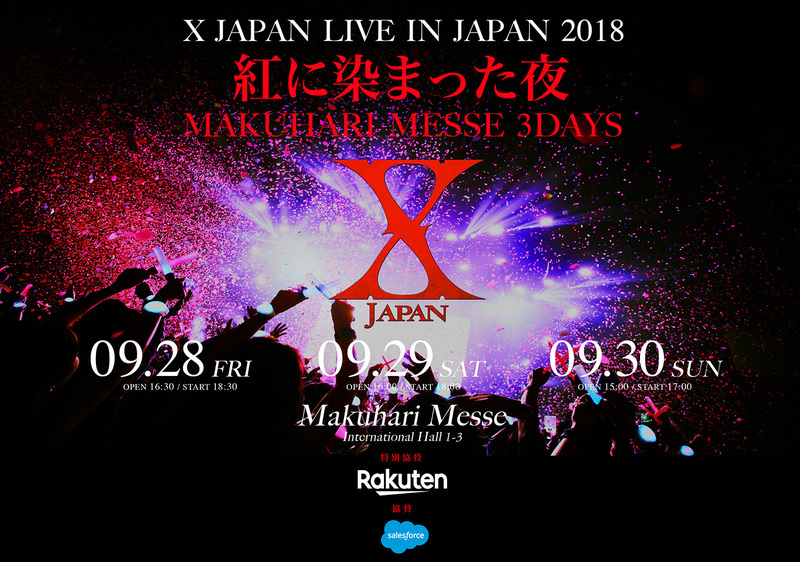 X JAPAN’s third-straight night of sold-out concerts — X JAPAN LIVE IN JAPAN 2018 THREE DEEP RED NIGHTS AT MAKUHARI MESSE — was suddenly cancelled on September 30th due to the impending weather effects of Typhoon Trami. With concern for the safety of fans as their top priority, X JAPAN announced that tickets for all 33,000 people would be refunded but the band would perform an unprecedented large-scale “closed-door concert” with complete stage effects and crew for the scheduled live broadcast on WOWOW that night. 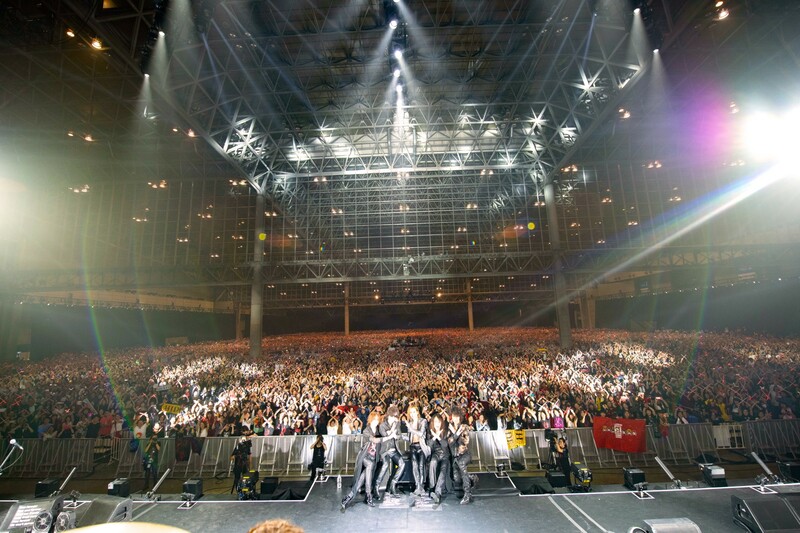 When the announcement was made in the early afternoon, thousands of fans who had arrived early at the venue screamed in shock, many having traveled from overseas to join the 100,000 who’d gathered from September 28-30 for X JAPAN’s largest live concerts in 8 years. In response to fan outcry, the decision was made to perform the concert in its entirety inside the massive venue so fans could watch safely at home, with the international crew from Japan, the United States, the United Kingdom, and numerous other countries adding their talents to the effort. In addition, YOSHIKI made arrangements for the whole production to stream on Nico Video’s YOSHIKI CHANNEL. YOSHIKI expressed his hopes for the safety of the fans and their families on his Instagram account before the start of the extraordinary performance. The concert is currently available on demand on WOWOW and YOSHIKI CHANNEL in Japan.